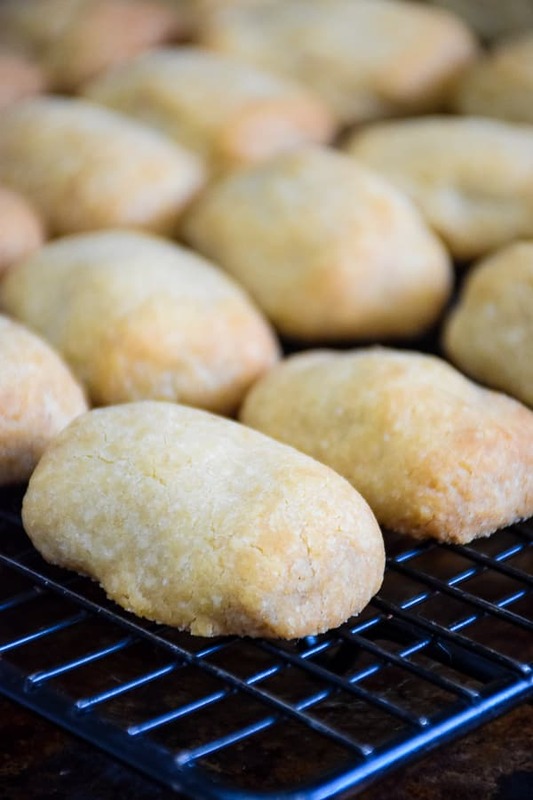 Butter Pecan Nuggets – Shortbread Recipe! This post is sponsored on behalf of #ChristmasCookiesWeek. 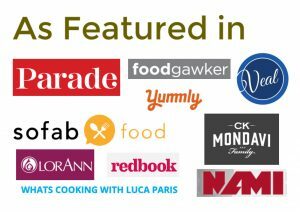 The generous sponsors, YumGoggle, Sprinkle Pop, Silpat, and Adams Extracts have provided us with products for recipe creation and a giveaway for our readers. As always, all opinions are my own. 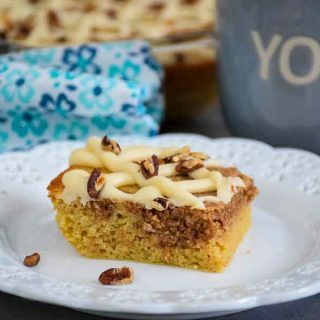 These Butter Pecan Nuggets are small bites of buttery shortbread with a pecan half in the center of the dough. 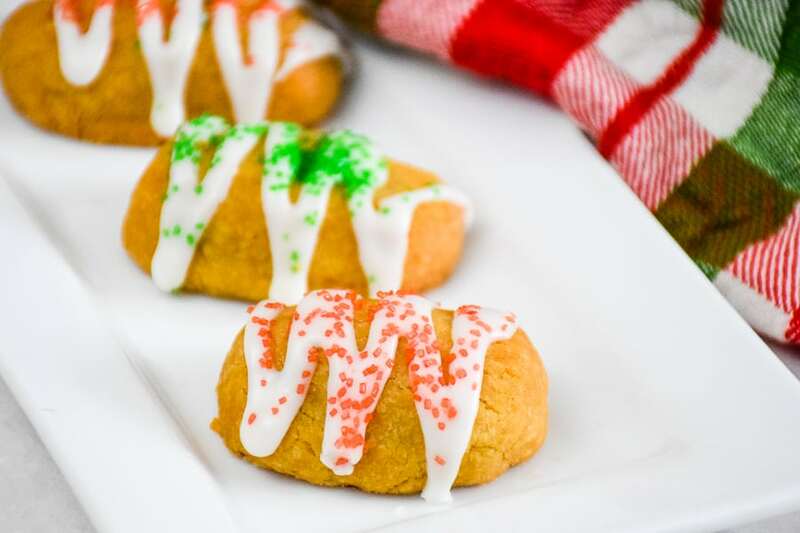 Topped off with a light glaze drizzle and some festive sprinkles, these are a great cookie to put out on your holiday cookie tray! 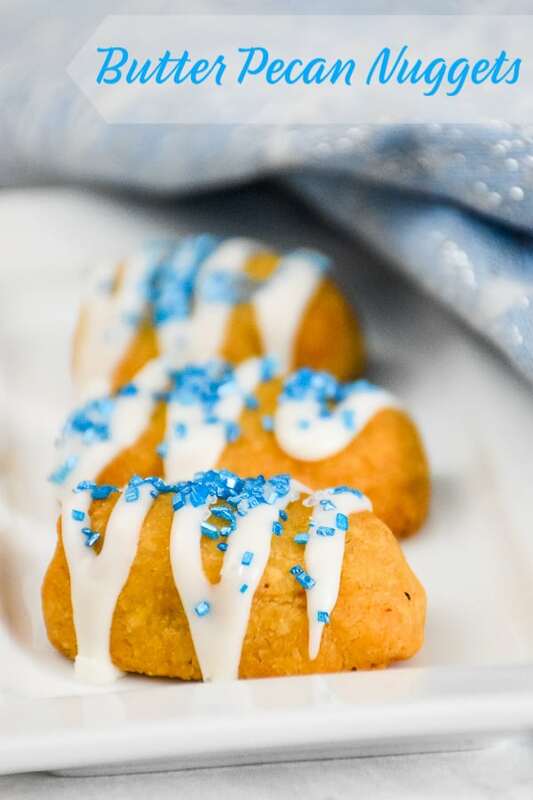 Butter Pecan Nuggets are a winner recipe and a long time favorite of mine! The buttery shortbread cookie dough has a toasted pecan hiding inside. I always put a roasted and salted pecan half just because I like the sweet/salty contrast! 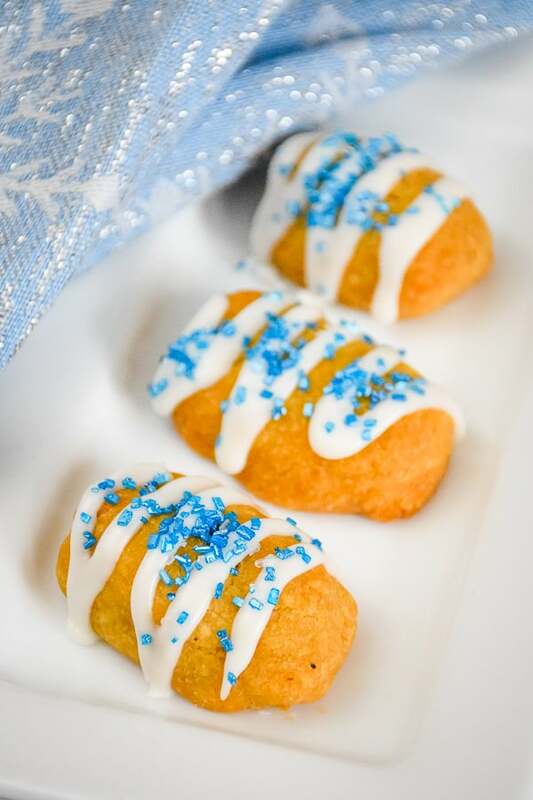 Drizzled with white frosting and decorated with blue and white sparkly sugars. Or, you could go with red and green for a different color scheme. 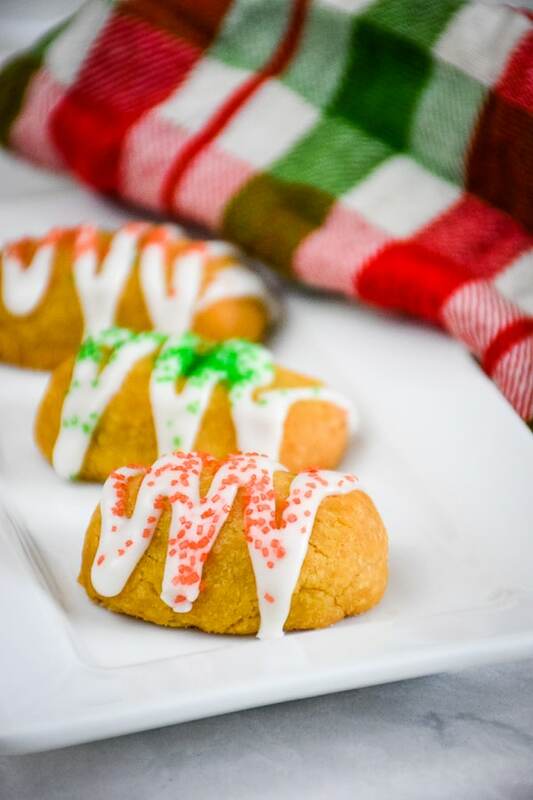 In either case, these cookies are still delicious and festive! These cookies are really easy to put together and start out a bit different from your normal cookie recipe. It all starts in the saucepan! All of your ingredients except for the flour goes into the pan and cooked over the stove-top until the butter is melted and all ingredients have been combined. HOW DO YOU GET THE PECAN IN YOUR BUTTER PECAN NUGGETS? These cookies are actually bite-sized (or maybe two bites!). You will scoop about a tablespoon of dough from your pan and shape it around the pecan. You may need to squeeze the dough together (making a fist) to get it to stick together in the beginning, but don’t worry, it will come together. Then I shape it into a log shape for aesthetics! Once the cookies come out of the oven, you will want to move them to a cooling rack and let them cool completely before frosting them. It’s ok if you’re tempted to try a couple warm as this makes about 4 dozen cookies. So go ahead, taste away! 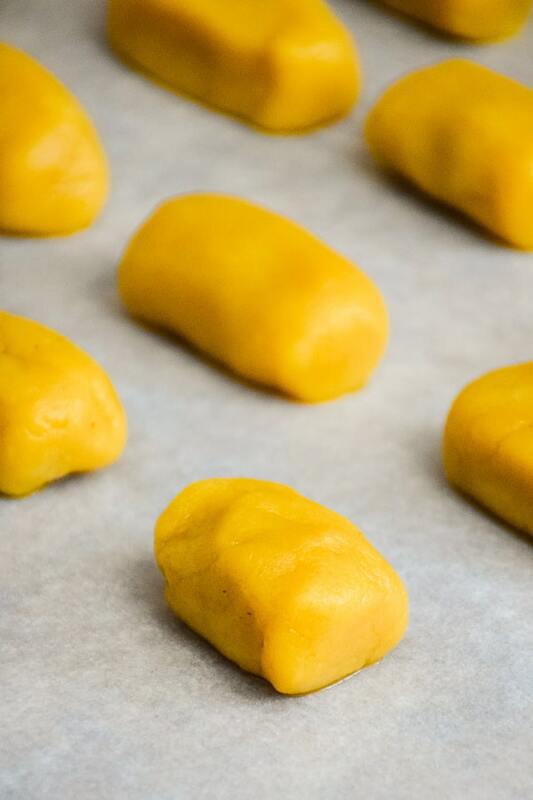 WHAT FLAVOR EXTRACT CAN YOU USE IN BUTTER PECAN NUGGETS GLAZE? I simply use a clear vanilla extract. However, feel free to try other flavors! One that may complement this buttery cookie very well is a caramel flavor. It will tint the color or the icing a little but it would probably taste amazing! 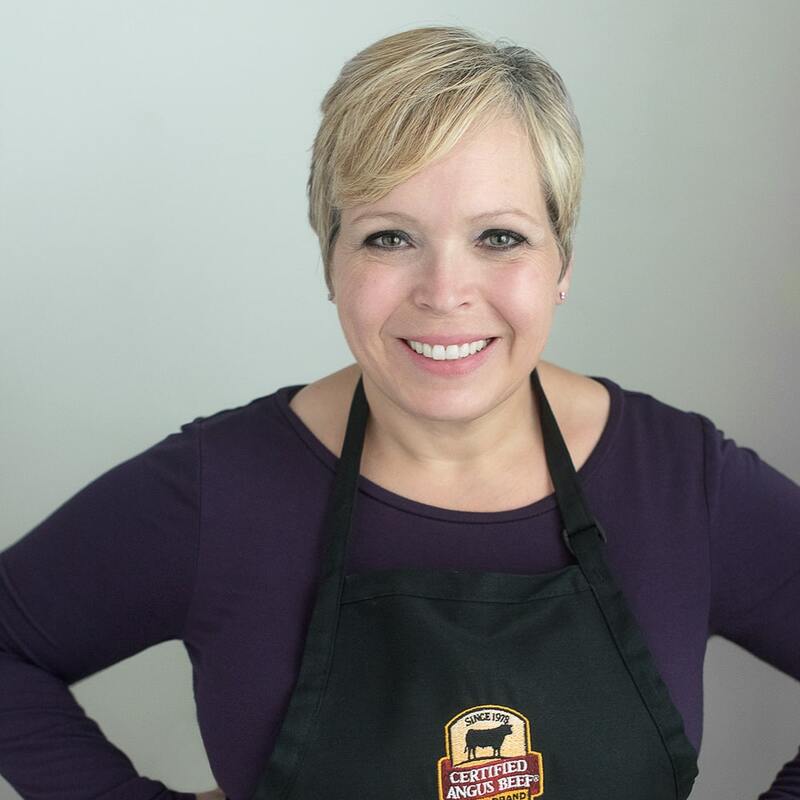 MAKE SURE YOU FOLLOW THESE TIPS BELOW FOR A SUCCESSFUL BUTTER PECAN NUGGET RECIPE! Watch the sugar/butter mixture carefully while on the cooktop. You don’t want this to start boiling, just bring it to melting temperature. Gradually add the flour to your sugar mixture. Adding it all at once will make it difficult to combine. When wrapping the pecan in the dough, you may need to squeeze the dough in your fist to compress it. Bonus tip! 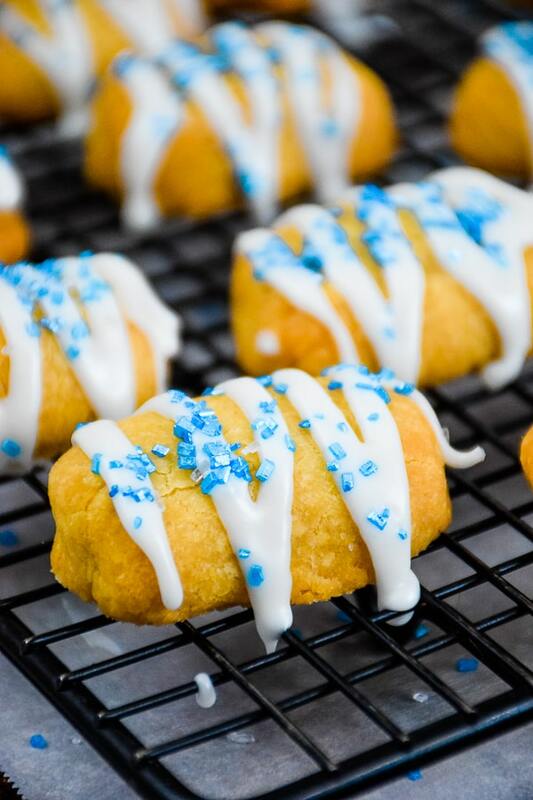 To reduce your mess when drizzling with icing, be sure to do so on a cooling rack with some parchment paper underneath the rack to catch any icing drips! The only hard thing about this recipe, besides wanting to eat one after another, is deciding which colored sprinkles you like best. Do you want the blue and white, or the red and green? Oh, decisions can sometimes be so difficult! 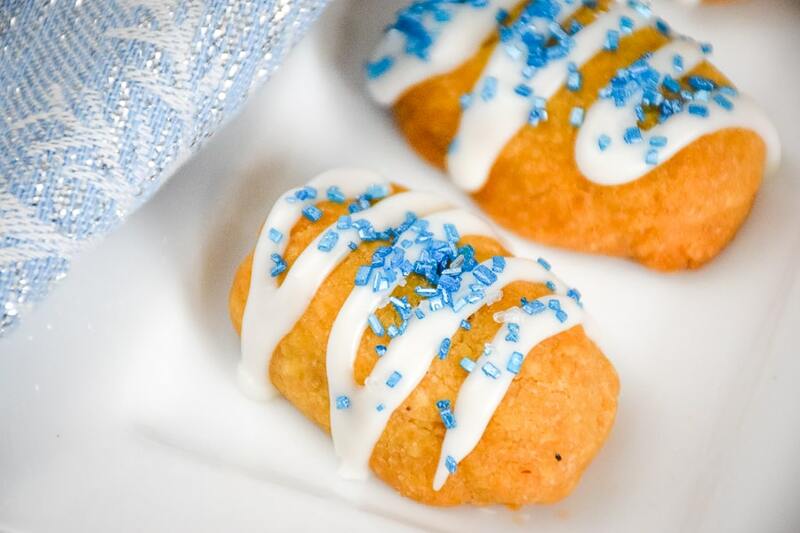 DON’T FORGET TO PIN AND SHARE BUTTER PECAN NUGGETS! Be sure to check below the recipe for the giveaway information! 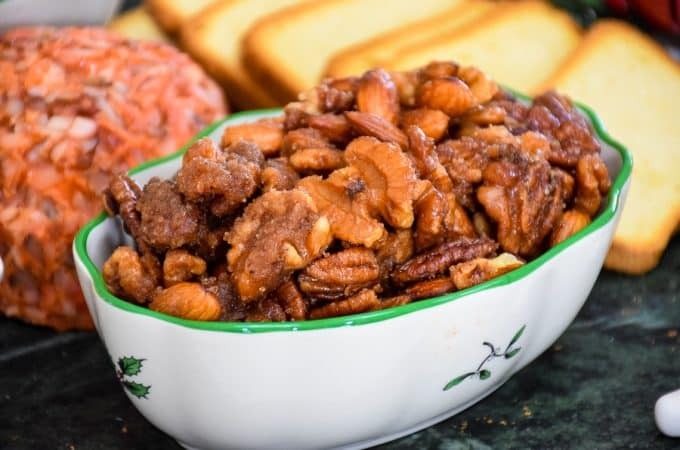 Spread pecans in a single layer on a cookie sheet. Toast in a 325 oven for about 12 minutes or til golden. Remove and cool. 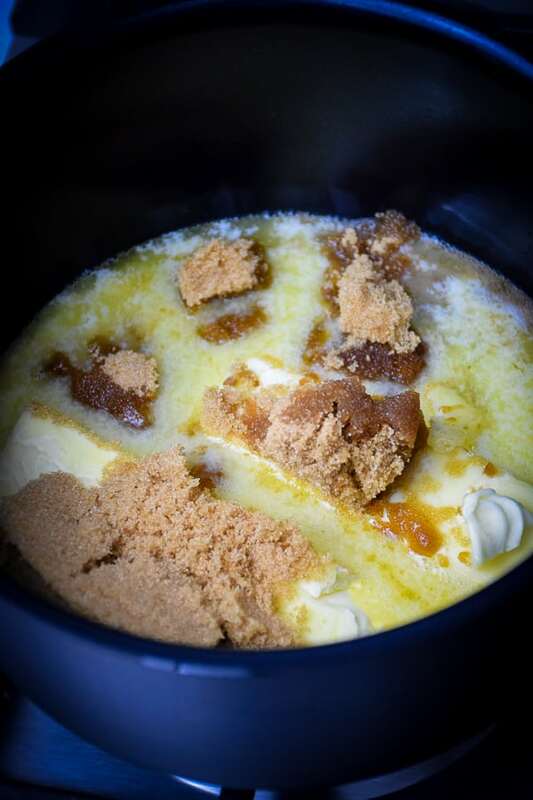 In a medium saucepan, combine butter and brown sugar. Heat and stir til butter is melted. Remove from heat. Stir in vanilla. Cool. Stir in flour til well mixed. Shape into 3/4 inch balls. Press a toasted pecan half into each ball and enclose nut in dough to form an oval. Place on cookie sheet covered with parchment paper. Bake at 325 degrees for 20 minutes or til done. Remove and cool. 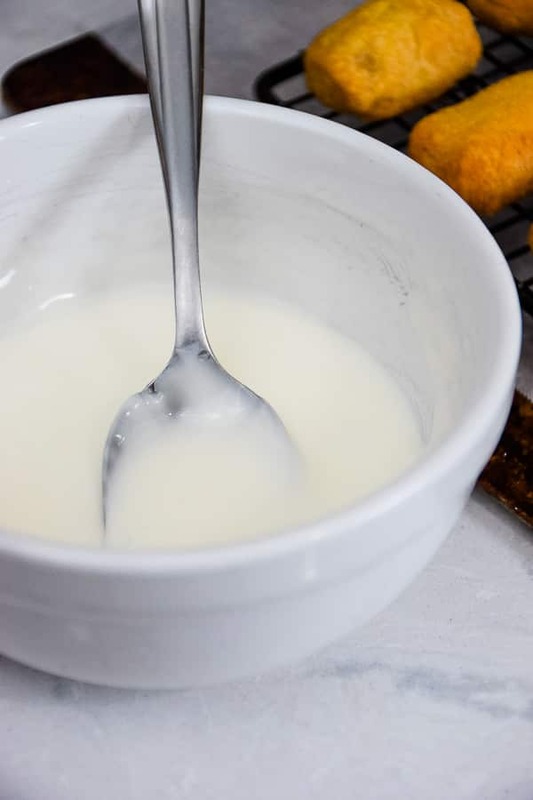 Stir together powdered sugar, clear vanilla and enough milk to make of drizzling consistency. Place frosting in decorating bag and cut at the very tip to make a small hole. Drizzle over cookies. Sprinkle with colored sugar. 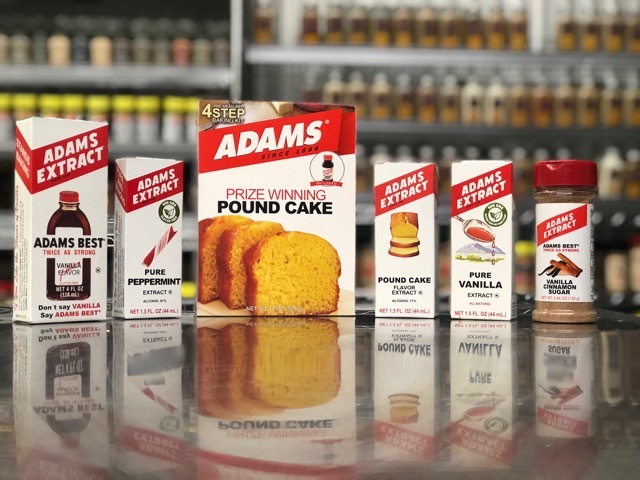 From Adams Extracts comes a selection of baking delights including their prize-winning pound cake mix, pure vanilla extract, pure peppermint extract, double strength pure vanilla extract, pound cake flavor extract and vanilla cinnamon sugar. Adams traces its beginnings back to Battle Creek, Michigan, when John A. Adams began making and selling his Green Plant Sarsaparilla extract, Adamur, in 1888. In 1905, he moved his family to Beeville, TX. At the time, most vanilla was sold to pharmacies and was often labeled “Do not bake or freeze.” John A. Adams, whose imagination was stirred by his wife’s yearning for a flavoring that wouldn’t bake or freeze out, announced that he could produce a better vanilla than the one his wife was currently using. Working with just $6.71 worth of materials on top of an old icebox, John A. Adams discovered the formula he wanted. 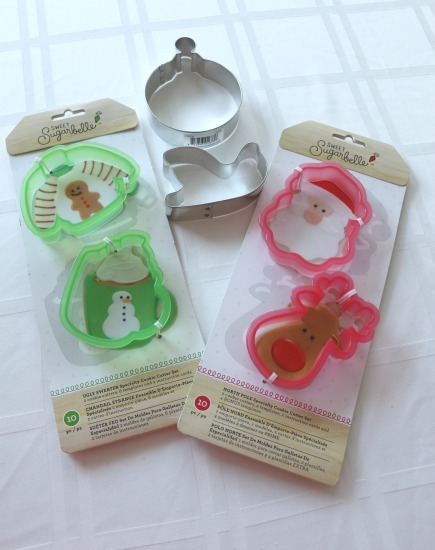 YumGoggle is giving away a variety of holiday and Christmas cookie cutters. The winner of this prize package will receive a sleigh, large ornament, and two cookie cutter sets. The first is a mug/ sweater set called Ugly Sweater Specialty Cookie Cutter Set and the second is a Santa/ reindeer set called North Pole Specialty Cookie Cutter Set. Each set includes 2 cookie cutters, 2 templates, 2 instruction cars, and 4 bonus templates. The YumGoggle gallery features food photography from contributors around the world. 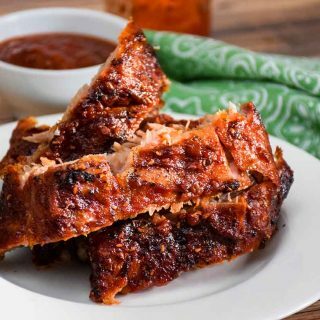 If you’re looking for a recipe, chances are you’ll find it on YumGoggle. 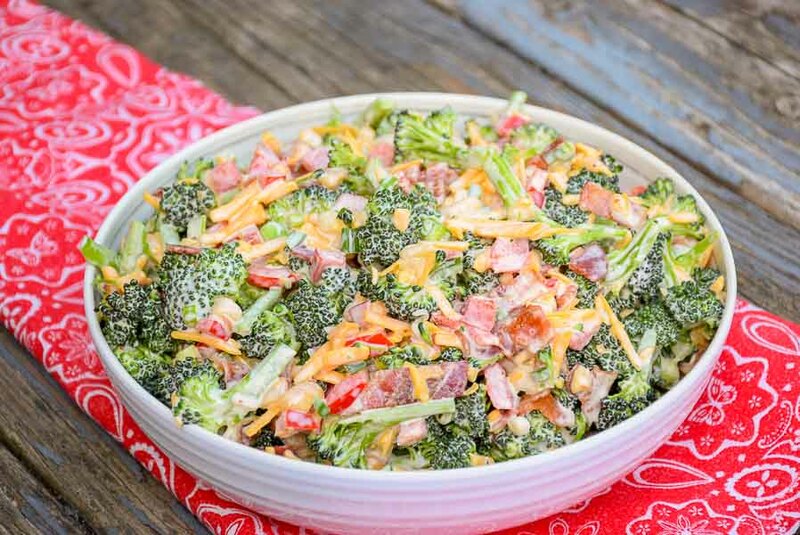 The photos not only whet your appetite but you can easily find the recipes by clicking the photo. The winner of this Sprinkle Pop prize package will get their choice of 3 sprinkle varieties, at $35.00 value. Winner will be contacted by or need to contact Sprinkle Pop for fulfillment. 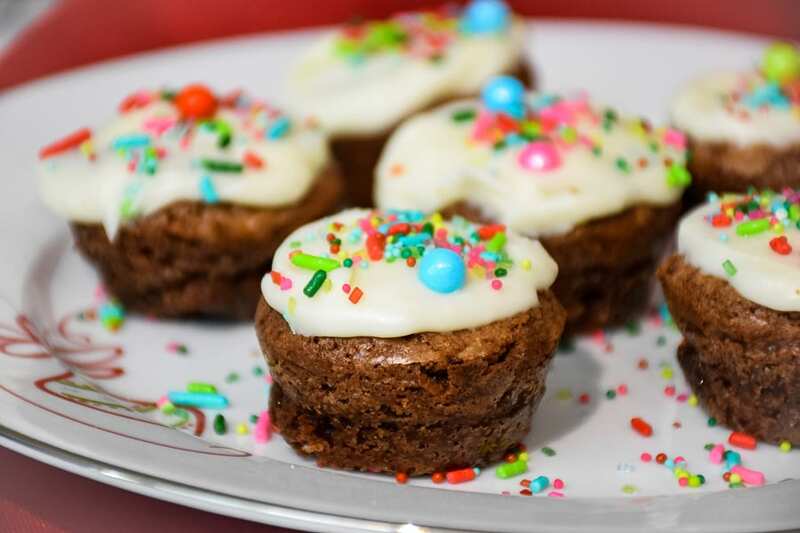 Sprinkle Pop offers trendy sprinkle mixes that you won’t find anywhere else. Fun fact: Over 50% of their sprinkle mixes are dyed in house, making each experience one of a kind. Sprinkle Pop also creates one of a kind confetti shapes that are unique to their mixes. 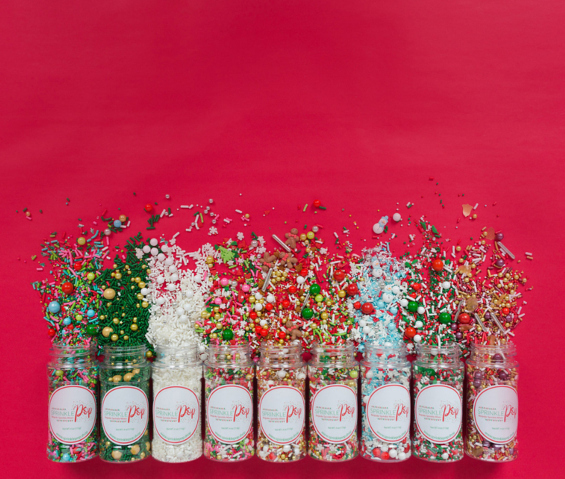 Make every occasion a festive one with these fun sprinkle creations. One winner will receive an 11 5/8 inch x 16 1/2 inch Silpat® baking mat which is perfect for all of your cookie baking throughout the year. Reduces the need for parchment and is reusable. The original silicone baking mat made from a dedicated silicone with reinforced fiberglass mesh. Nothing sticks to Silpat® which means you’ll spend less time cleaning and more time enjoying your baking creations. 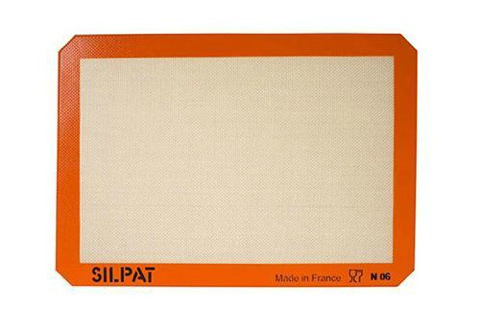 Silpat® replaces the need for butter, grease, oils, and sprays. Multi-purpose non-stick silicone baking and pastry mat. 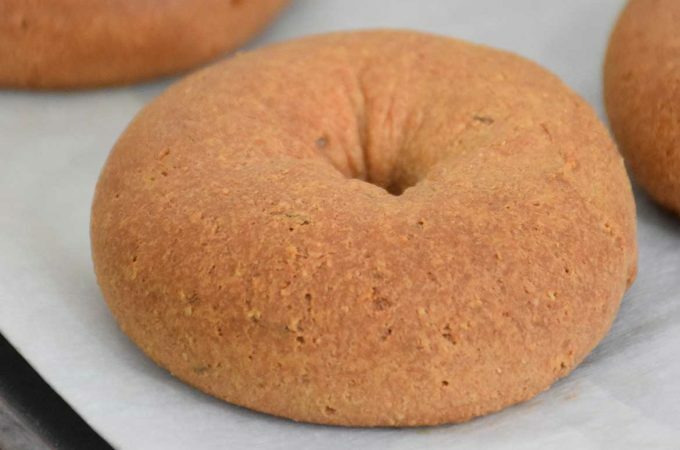 No cooking sprays, oils or parchment paper needed. Not to be used as a cutting surface. 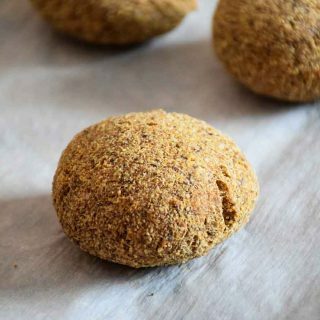 Can be used in the oven, microwave, and freezer. oh Shelby, those are soooo pretty!!! I love them! 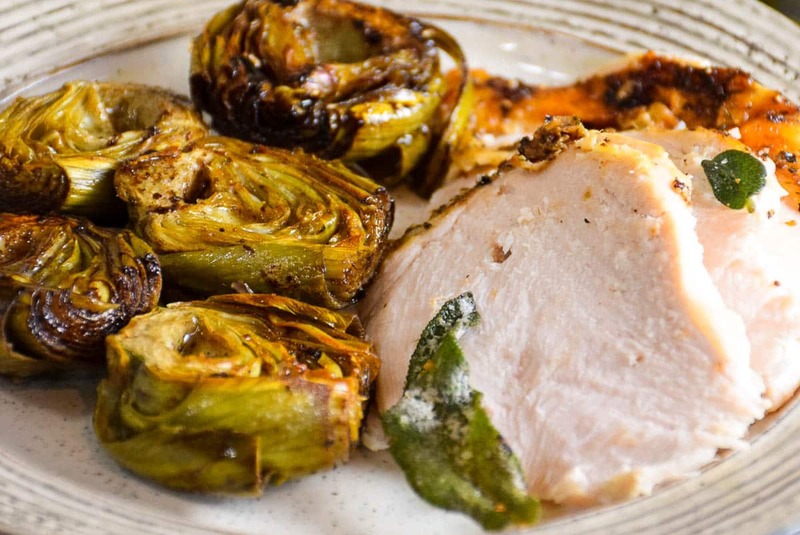 Wow, another recipe to bookmark. I have never seen any blue sugar around here. Really helps decorating this cookie. Oh my gosh… those are so pretty! And boy, everyone is a winner who has an opportunity to enjoy these beautiful cookies. Lots of WOW in these! Love the simple drizzle and pretty little sugars! I just love the decoration along with the pretty sprinkles on the cookies. Congrats to the winners as well! congrats to the winners! i LOVE those pretty little cookies, they look delicious! I love the blue and white sparklies! Yum! So pretty and I love the idea of a pecan hiding inside! These do look like a winner Shelby!!! These look so delicious. I love how the sugar looks like jewels. I found the white and blue sugar alluring too. Makes it look so festive and shiny! All these treats you are making look so beautiful! I was going to cut my baking down this year, but, now you show us these! Your recipe and pics are great, Thanks. These are some pretty cookies. Looks lke a piece of art…food art! I would love some of those with my nightly cup of tea. 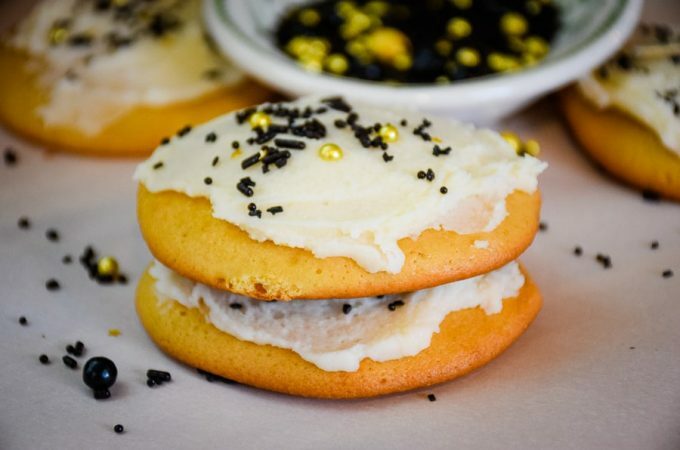 I love a good butter cookie and thes look especially delicious! 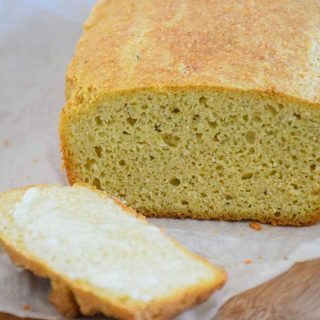 Im going to try your recipe this week! Yay! Congrats to me and thanks to you! What a pretty little cookie. They remind me of your snowflake cookies. They were that pretty blue too and I have not forgotten them! My extended family has a Christmas cookie bake and share party every year, and I'm definitely going to pick these as my 2010 contribution. I just love everything about these excellent cookies, Shelby. Beautiful! Came across you via StumbleUpon. 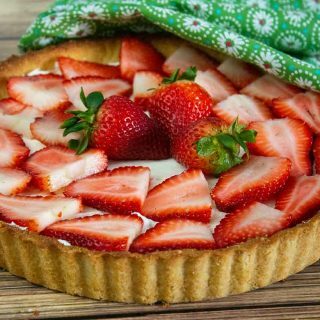 Great recipe- very pretty. They look like they would be great with tea/coffee. I'm looking forward to checking your site out more. 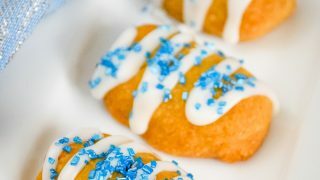 These look so perfectly bite sized- and love that blue sugar. I like the little surprise inside! I have to try these out soon! I’ve never heard of this type of cookie before, but I’m excited to try one!